Some RVers like to leave it all behind when they take to the highway. But others like to take it with them, especially if their adventures are on the extended side. These RVers love luxury travel trailers, and if you find yourself thinking about joining their ranks, you may also be thinking about luxury travel trailers – specifically, how do you find the perfect one for you? We’ve got some tips to get you started. First, think about where you’ll be going. Your destination(s) will have a significant impact which luxury travel trailer you choose, as will your comfort level in maneuvering a home-on-wheels. Will you be going to a well-appointed, easy-to-access RV park, staying parked in one spot until it’s time to go home? Or will you be moving from place to place? Luxury travel trailers tend to be long by RV standards; the combined length of a heavy-duty towing vehicle with a luxury travel trailer can reach 45’-50’. If you can confidently handle something this big though city traffic, gas stations, or wherever the road may take you, then they may be the perfect RV for you. If you’re not comfortable towing, maneuvering, or backing up these giant RVs, a smaller model or a fifth wheel, which tend to be more maneuverable, might be a better choice for you. Something else to consider: Where will you store your travel trailer in the off season? Unless your yard can be better described in acres than feet, you’ll probably have to find a storage facility with ample parking room for your RV. Now think about your budget. Luxury does come with a price, and as you might expect, luxury travel trailers tend to be at the high end of the RV spectrum. MSRPs for new models range from around $40,000 to the-sky’s-the-limit. If your budget isn’t that accommodating, look for end-of-season deals or opt for a used model. Something else to consider: Do you have a vehicle powerful enough to tow one of these large RVs? If not, you’ll have to include that cost into your budget. Factor in your favorite camping activities. If you’re considering a luxury travel trailer, it’s unlikely that you’re going to resign yourself to “roughing it.” From high-end kitchens, to built-in garages, to outdoor speakers with TV hookups, amenities abound in luxury travel trailers. A little bit of searching, and you’re sure to find the features you need to accommodate your favorite activities. Something else to consider: Look at the big picture when it comes to optional equipment. Sure, you may only really want one or two of those high-end features, but getting option packagewhich includes those options as well as several others could save you hundreds or thousands of dollars over purchasing each item separately. Think about your needs now and down the road. Studies show that RVs in general have an average ownership time of about 4 years. That may not seem like a very long time, but a lot can happen in 4 years. Families grow or shrink, as do budgets. Lifestyles and activities change, too. 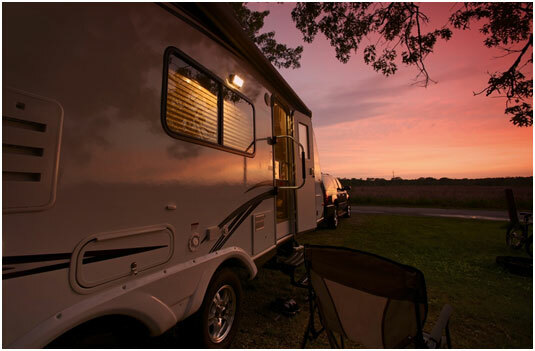 All of these factors can influence your needs and wants in an RV. While you can’t predict your future, try to anticipate the big events that are likely to happen (addition of children, grandchildren, retirement, etc.) and gauge your space and features needs accordingly. Something else to consider:If you camp in the warmer climates during the winter and you like company, look for a luxury travel trailer with extra room for guests. After all, it’s hard for family and friends to turn down your invitation to visit when they weather turns cold and gray in our region. Finally, take your time and get comfortable with your decision. Literally. This is a big decision, so check out a variety of makes and models in person. Spend an hour or so in each one, relaxing, going through the motions of your daily camping routine, and getting comfortable with the layout and all the features. Come prepared with lots of questions, and bring a checklist with listing your must-haves and would-be-greats, along with plenty of room for notes on what you like – or don’t – about each model. And don’t limit yourself to just one visit. After all, you’re not just choosing an RV, you’re choosing a home away from home. Learn more by downloading our tip sheet, 10 Tips to Compare Luxury RVs! 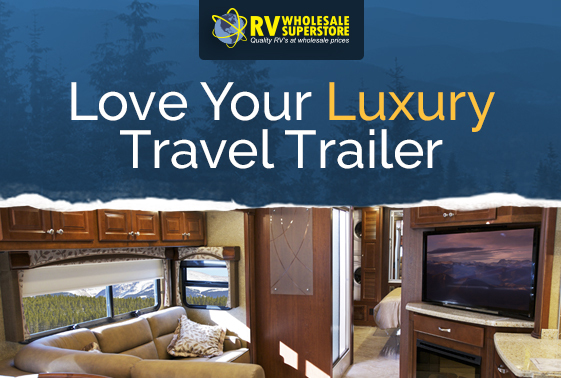 Whether you’re ready to buy or still deciding which toy hauler or luxury RV is best for you, the professionals at RV Wholesale Superstore are ready to help. Visit us in-person at 5080 W. Alexis Road, in Sylvania, OH or call us at (844) 601-1171.